Battery analyzer, battery charger and battery test equipment design and manufacturing for secondary batteries. We charge and test all types of rechargeable battery chemistries including nickel cadmium, nickel metal hydride, lead acid and lithium ion. 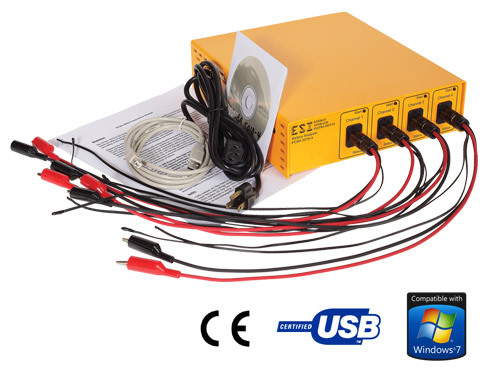 Use of switch-mode power supply technology coupled with advanced micro-controller software and Windows interface programming make our battery analyzer and battery charger products the most modern and versatile available. 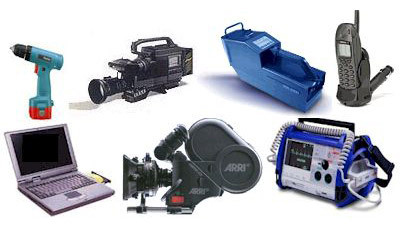 Twenty years experience at battery tester and charger equipment design and manufacturing for original equipment manufacturers and industries such as the broadcast video, film, communications, computer, medical, cordless tool and transportation. Plus other high power electronics design for commercial and industrial applications.